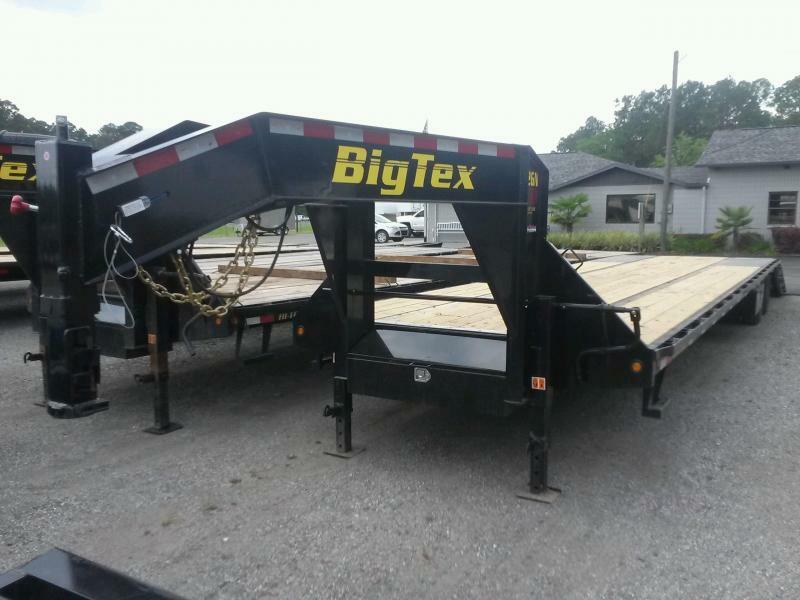 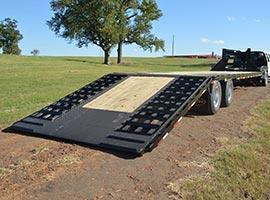 The 22GN-HDTS from Big Tex comes standard Equipped with a 9' hydraulic dovetail. 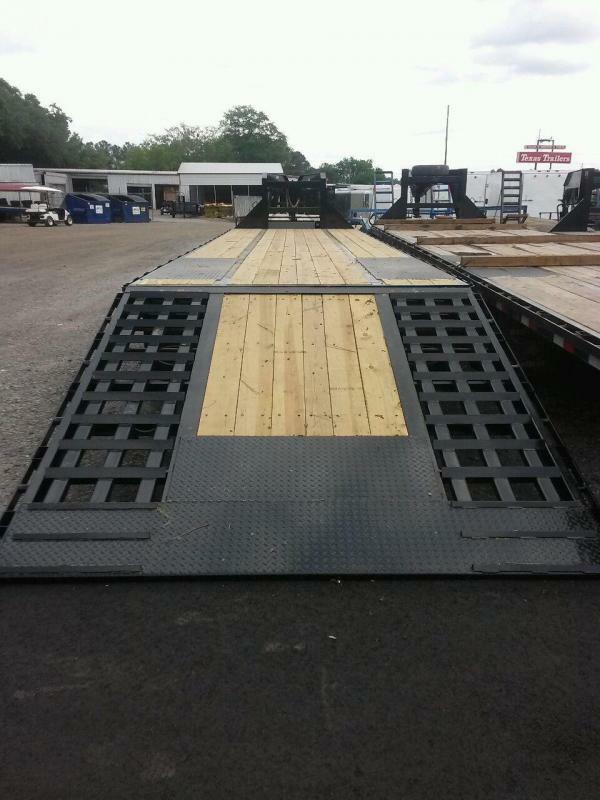 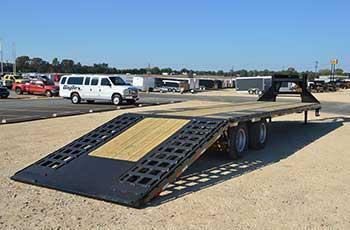 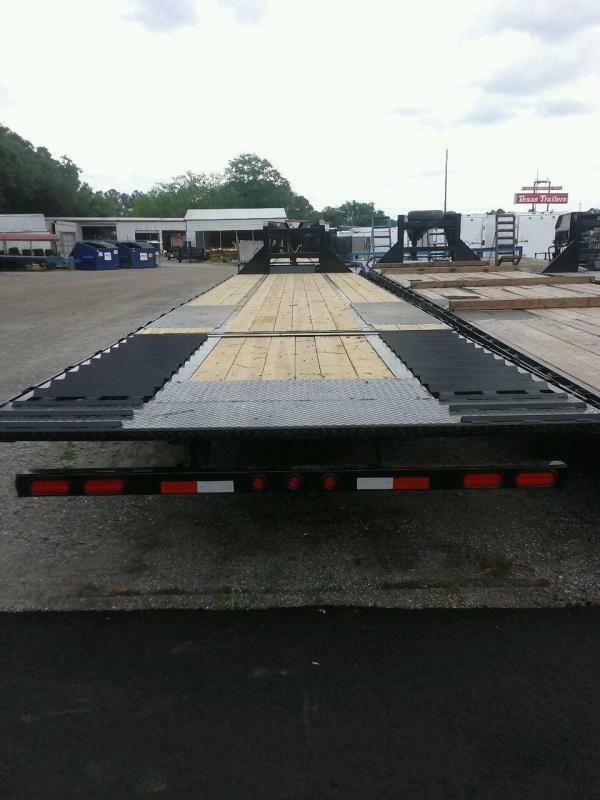 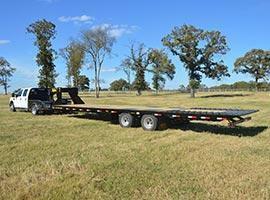 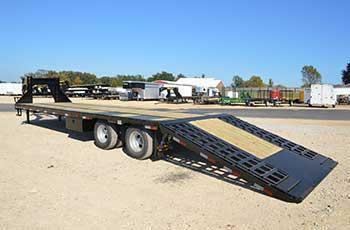 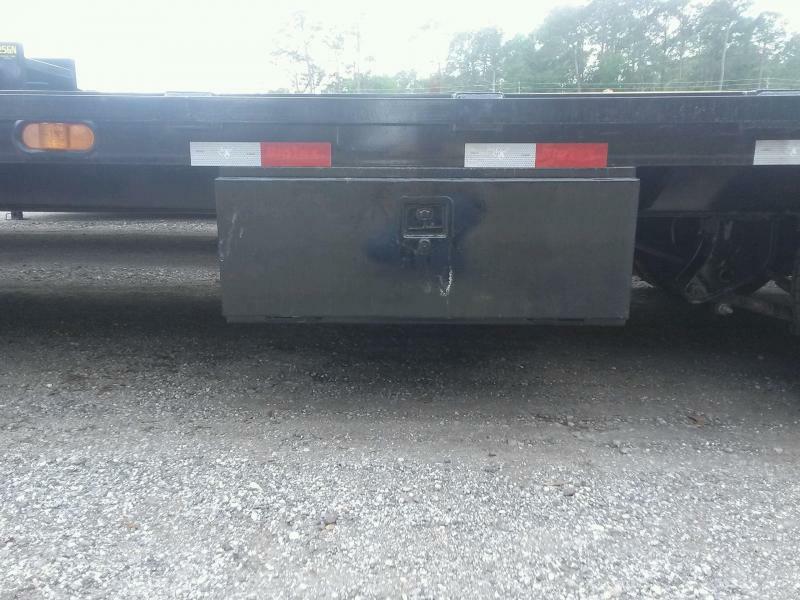 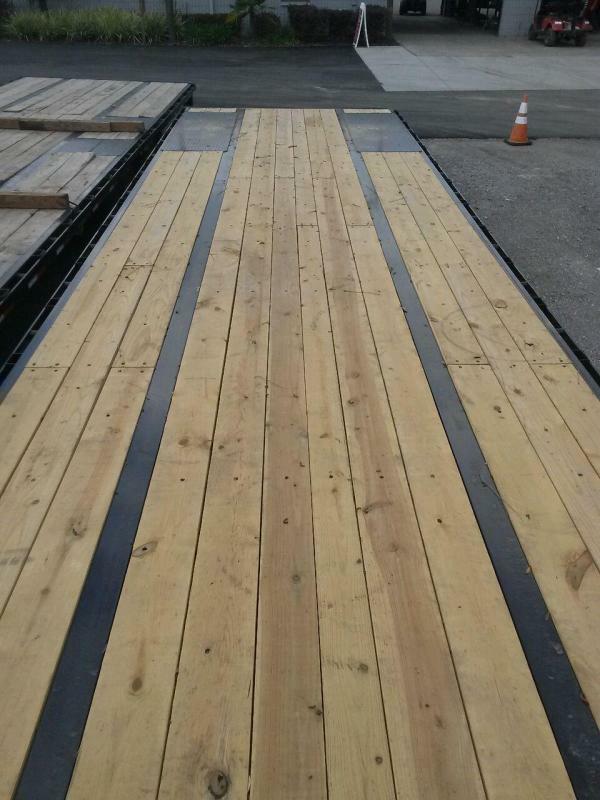 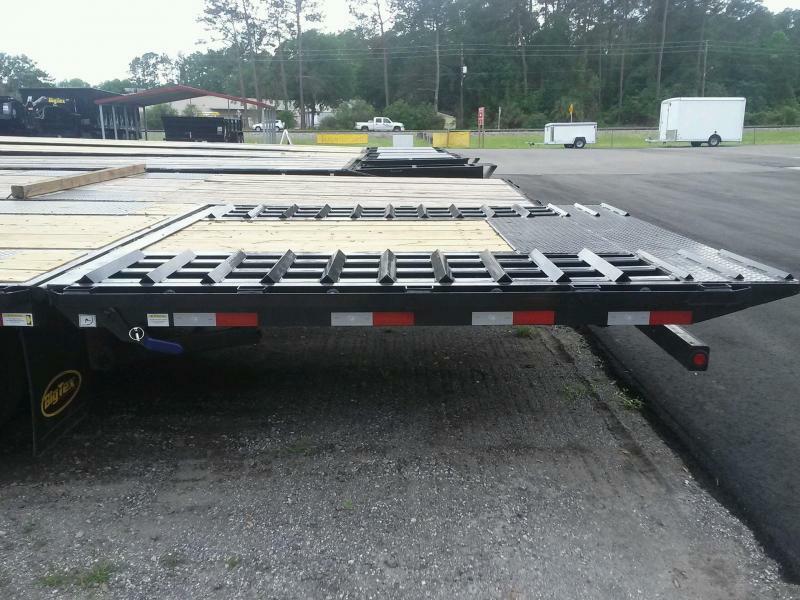 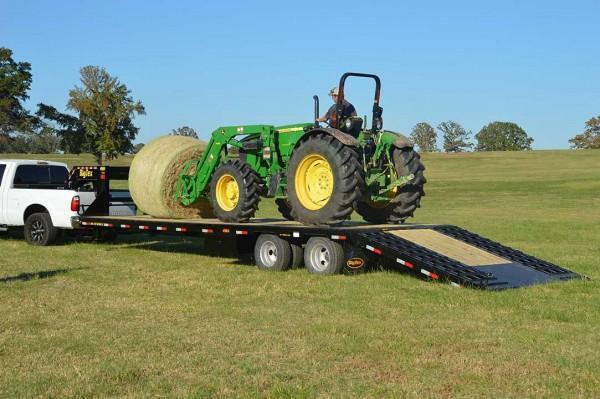 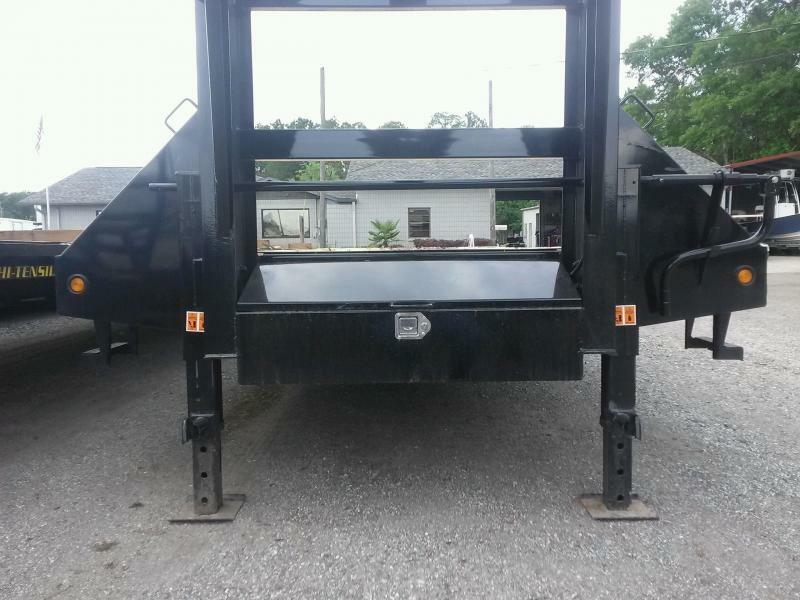 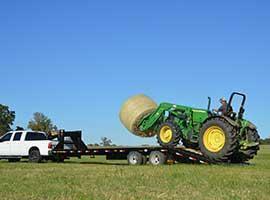 This trailer has all you need and more when it comes to hauling tractors, vehicles, and more! 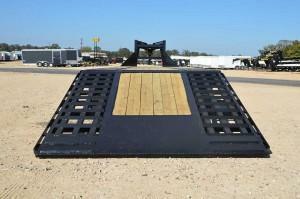 With a diamond plate knife edge, this dovetail provides better load transition. 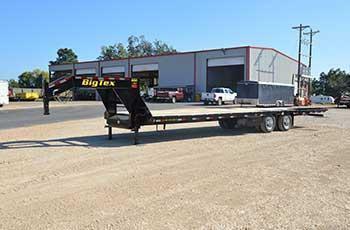 The trailer also is equipped with collapsible rear bumpers for improved safety, a long length wired remote for one person operation, and mechanics that are best in class in the industry, reducing and issue you may have during operation. 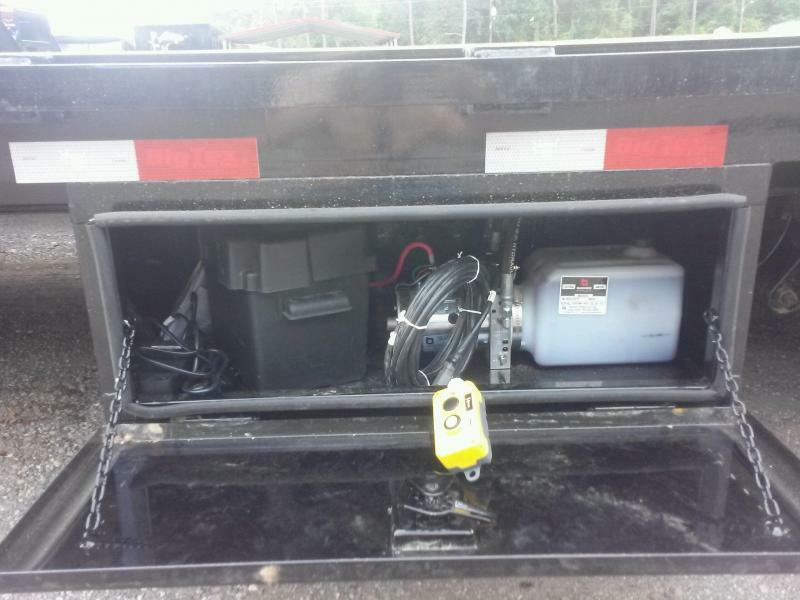 Also standard are a manual locking lever for added safety, a lockable under-body battery and pump box. 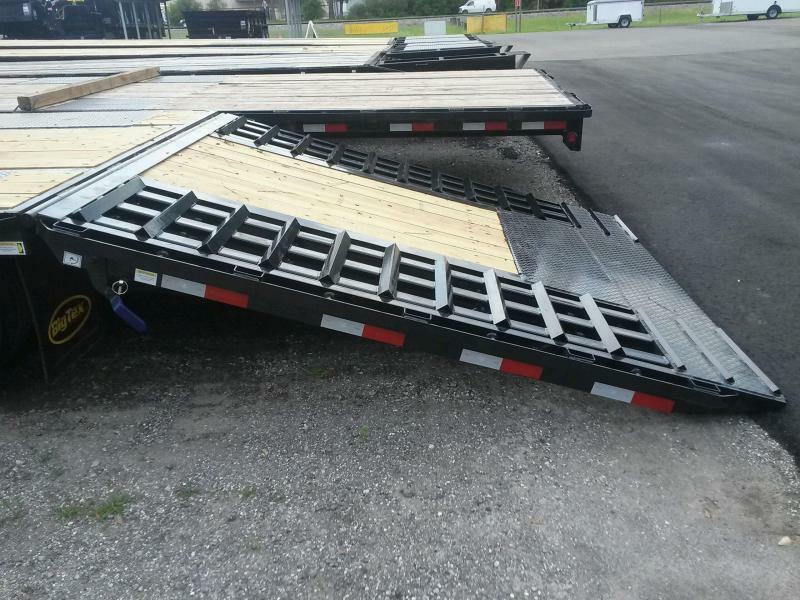 The HDTS has a rub rail and stake pockets with chain spools on 24" centers for easy load securing, a cleated dovetail with wood filled between ramp areas for maximum traction, and an interstate deep cycle battery that provides longer battery life between charges.